Check it out, we have just teamed up with Ethoca to have more advanced fraud fighting capabilities. They did this great video interview of me, here and you can read the press release as well. Toronto (PRWEB) December 9, 2008 — Ethoca, the leader in collaborative fraud management, today announces that Tahoe Mountain Sports of King’s Beach, California, a ‘bricks-and-clicks’ retailer of outdoor gear, serving customers in 30 countries, has joined the Global Fraud-Fighting Community. Customer-not-present online transactions are a growing source of fraud for Tahoe Mountain Sports, and more sophisticated fraud, especially in the last six months. And, as the economy has slowed down, there has been a notable increase in customers who have received merchandise but can’t pay their bills doing fraudulent chargebacks. Despite careful checking, the number of bad orders escaping detection this year has started to show a marked increase as fraudsters get better at making themselves appear legitimate. Online sales are the key growth area for Tahoe Mountain Sports, so finding a better way to differentiate between good and bad orders, which usually have similar profiles, is critical to growing profitably. That’s why Tahoe Mountain Sports has joined the Global Fraud-Fighting Community powered by Ethoca to gain traction against fraudsters. By assessing transaction experiences other merchants have had with the same customer, it becomes much easier to identify good orders, and evaluate risk where there is uncertainty. This will enable Tahoe Mountain Sports to grow its online business without increasing its risk of losses, while reducing overall fraud costs. The customer shopping experience is very important to Tahoe Mountain Sports, especially in the current economic climate when frustrating the customer can mean losing them forever. Labor and time-intensive screening and verification processes, often involving telephone checks with banks and other credit sources, slow down and degrade the purchase experience for customers, even when transactions are approved. The Global Fraud-Fighting Community data provides improved knowledge of who the good customers are, enabling Tahoe Mountain Sports to speed order handling and improve the efficiency and effectiveness of online transaction processing, making the purchase process seamless for more customers. The direct costs of fraud – in lost product, shipping and chargebacks – made the loss of some good customers through tight screening an unavoidable trade-off. Becoming a member of the Global Fraud-Fighting community means Tahoe can maintain its strict screening, without having to balance it against lost sales, goodwill and future growth. 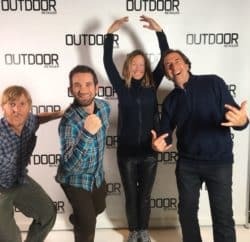 Tahoe Mountain Sports ships outdoor recreation gear to customers in 30 countries, yet hasn’t actively pursued international business, because the rate of fraud from outside the US is several times greater than domestic orders, and more expensive to screen. The higher costs have several dimensions: international fraudsters are more persistent, appear to have less fear of legal consequences, and identity verification has been more difficult with overseas customers due to barriers such as time zones and language. 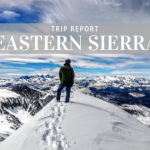 Now, using the collaborative resources of the Global Fraud-Fighting Community powered by Ethoca, Tahoe Mountain Sports intends to use its price and selection advantages to target these sales as a major growth opportunity. Since the Global Fraud-Fighting Community uses pooled data from merchants around the world, becoming a community member reduces risks inherent in doing international business, and makes it worthwhile for Tahoe Mountain Sports to actively market outside the United States. “The global nature of the fraud-fighting community of merchants means we can do more international business with our competitive advantages in price, selection and outfitting expertise,” said David Polivy, owner of Tahoe Mountain Sports. Nearly 98 percent of online transactions are legitimate, but most fraud management solutions focus on the fraudulent 2 percent. To keep this fraud rate low, online businesses refer more than 27 percent of transactions for manual review. Yet after review, more than half of all merchants accept over 90 percent of these orders and 2/3 of merchants accept more than 80 percent. Put simply: the largest online businesses spend millions of dollars annually to inspect orders manually, 80 percent or more of which could be saved if they had better customer experience data to identify the good customers and give them a better purchasing experience. Ironically, the current process costs a lot of money to protect against a small minority of actual fraudulent transactions. The primary reason for such a large percentage of manually checked orders is a lack of prior experiences with the customer. That is where Ethoca fits into the puzzle. The Global Fraud-Fighting Community powered by Ethoca is the only source of positive experience information about customers who have yet to make a purchase from a particular merchant, and the only way to cut down on the 80 percent or more of manually reviewed orders that didn’t require checking. Manual reviews represent by far the largest cost of managing fraud, and are often the source of processing and shipping delays that degrade the customer’s experience. For many etailers, international business presents a major opportunity for growth, since only 59% of merchants accept international orders at all. For merchants who do accept international orders, it represents an average of 16% of their total business, but much stricter acceptance criteria are applied because fraud rates are 2.7 times greater than domestic orders, and the cost and difficulty of verification, processing and shipping make the total potential losses even higher. That’s why more than 11% of international orders are simply rejected as too risky – a rate more than 3 times the actual fraud rate. As the economy slows, the pressure grows to tap international sales, but without anti-fraud tools that specifically address the unique challenges of international sales, many merchants leave this revenue source untapped or under-exploited. Working in partnership with forward-thinking businesses, individuals and law enforcement, Ethoca is making e-commerce safer and more profitable by building and powering the Global Fraud-Fighting Community. To be more successful in combating fraud, companies must collaborate across and within industries by securely sharing order experiences in a way that is not a competitive threat. Ethoca enables businesses that operate in customer-not-present environments (Internet, phone, fax or mail) to make more informed decisions about their customer transactions, by sharing order experience data in a way that is secure, automated, effective and ethical. Community members see an improved customer experience, increased revenue from fewer wrongly rejected orders and reduced fraud and fraud-related costs. Ethoca™ is a registered trademark of Ethoca Limited. For more information about Ethoca visit www.ethoca.com. 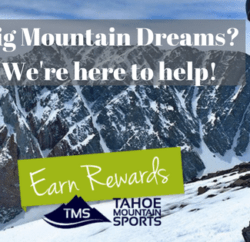 Tahoe Mountain Sports in King’s Beach, California – located on the north shore of Lake Tahoe, 30 miles southwest of Reno, Nevada – is both a bricks-and-clicks retailer and an online purveyor of outdoor gear for all seasons. A modern business, Tahoe Mountain Sports started out online four years ago and two years later opened its lakeside retail location, with internet business buffering the highs and lows of seasonal tourism and allowing the company to provide a wider store selection. 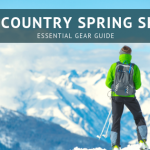 Family owned and operated, they have a broad inventory, ranging from backcountry ski and snowboard gear, to high-quality winter and summer clothing and outerwear, to tents, sleeping bags, stoves and backpacks. 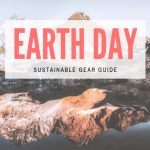 High-value, niche brands are a specialty, including lines from Cloudveil, Patagonia, Mammut, Icebreaker, Keen, Chaco, Gregory, Deuter and more. 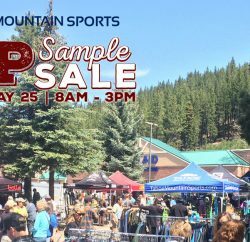 Tahoe Mountain Sports serves customers who appreciate lasting value in high-quality products, and prides itself on a high customer return rate.